Victor (Vic) Sidel, M.D., who died in late January, was a national and international champion for health, peace, and social justice. Among his numerous activities, he co-edited with me six books on war, terrorism, and social injustice that were published by Oxford University Press. Vic left an extensive legacy in the residents and students whom he trained, in the organizations that he strengthened, in the scholarly books and papers that he edited and wrote, and in the policies and programs that he promoted for a healthier, more peaceful, and more equitable world. For 16 years, Vic directed the Department of Social Medicine at Montefiore Medical Center and Albert Einstein College of Medicine, which promoted health and prevented disease in the community; addressed health-related issues in housing, nutrition, education, and employment; and helped to reduce inequities in health care. Vic taught social medicine by placing residents and students in the community to observe patients’ health problems in a socioeconomic context and to identify community resources to address these problems. He trained community health workers to promote health and prevent disease in the neighborhoods where they lived. Vic advocated for peace. He envisioned a world where conflicts are settled without violence and where the dignity of every person is respected. He resisted militarism and the diversion of resources for military purposes. He opposed international arms sales and easy access to guns and assault weapons. In 1961, Vic co-founded Physicians for Social Responsibility (PSR) to raise awareness of the threat of nuclear weapons – what he called “the final epidemic.” In the early 1980s, he helped establish the International Physicians for the Prevention of Nuclear War (IPPNW). He served as president of PSR and co-president of IPPNW, which won the Nobel Peace Prize in 1985. Although Vic used statistics as hard evidence of the impacts of militarism and war, he observed that statistics are people with the tears washed off. Dr. Victor Sidel. Image used with permission of the author. Vic promoted social justice and recognized that the denial of human rights adversely affects health. He supported a woman’s right to choose. He supported a person’s right to die with dignity. He asserted that health is a basic human right. He believed that government is responsible for equitable financing and equitable provision of health care. And he demonstrated the linkages among health, human rights, and civil liberties, and among social justice, environmental justice, and justice in the workplace. As president of the American Public Health Association (APHA) and the Public Health Association of New York City, Vic addressed the growing gaps between rich and poor people in the United States and between rich and poor countries. In 1971, Vic and his wife, Ruth, were among the first Americans to visit the People’s Republic of China in 22 years. Their subsequent books and lectures enlightened many people about health and social services in China. They wrote and spoke about its key principles, including: (1) Put prevention first. (2) Train community members as “barefoot doctors” to provide health services in underserved areas. And (3) base the health system on the concept “serve the people,” in which the gratification of health workers comes from the opportunity to serve — not from status or financial reward. In many ways, Vic served the people. As an educator, Vic instructed, mentored, and inspired residents and students. He trained thousands of physicians and other health workers, many of whom have become leaders in government, academia, civil society, and elsewhere.. Like ripples in a pond, each of them have educated and trained many more. Vic used creative teaching techniques to rivet the attention of students and others and illustrate his main points. In one of them, he held a beating metronome as he pointed out that every other beat represented a child’s death that could have been prevented and also represented $50,000 spent for military purposes. In another, he dropped hundreds of steel balls into a container, the pinging sound of each one representing an atomic bomb and the loud clanging noise of all of them together representing the global stockpile of nuclear weapons. Vic had a profound influence on the career of many students. One student, for example, almost left medicine. But after hearing Vic speak, she discovered opportunities to make her career in medicine meaningful and consistent with her beliefs. She became a local health officer and then a national public health leader. Her work made significant contributions in reducing teen pregnancy, decreasing health disparities, and supporting health care reform. As a scholar, Vic wrote many journal articles and gave numerous lectures with insight and vision, clarity and passion. 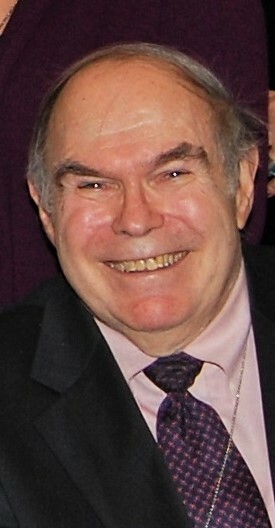 In the early 1960s, he co-authored with Jack Geiger and Bernard Lown landmark papers in the New England Journal of Medicine and elsewhere on the health impacts of thermonuclear war. And he wrote many other papers about preventing war, reducing poverty, addressing racism, improving access to health care, and other issues related to health, peace, and social justice. As a scholar, he recognized that research had to be conducted ethically. For years, he chaired the Institutional Review Board at Montefiore Medical Center to ensure that research subjects were protected and respected. As an organizational leader, Vic not only did things right, but he chose to do the right things. When he saw suffering, he worked to heal it. When he saw the threat of violence, he worked to prevent it. When he saw social injustice, he worked to stop it. When the Allende government in Chile was overthrown in 1973 and many health workers there were fired, imprisoned, or killed, Vic led the response by Montefiore and APHA to publicize their plight, and to save and resettle Chilean health workers. I worked closely with Vic for more than 25 years. I remember his wisdom as we developed and co-edited books and wrote articles on war, terrorism, and social injustice. I remember his creativity as we presented lectures together. I remember his inclusiveness as we organized annual sessions on preventing war and promoting peace at APHA annual meetings. I remember his vision as we established the APHA Award for Peace. Now, it is up to each of us and many others whom Vic inspired to carry on his work for health, peace, and social justice –- to carry on his work with commitment, solidarity, and moral courage. Featured image credit: “surf” by Frank Mckenna. CC0 via Unsplash. Barry S. Levy, M.D., M.P.H., is an Adjunct Professor of Public Health at Tufts University School of Medicine. 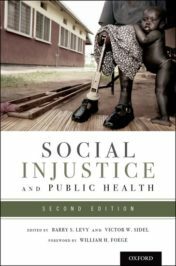 He co-edited with Dr. Sidel two editions each of the books Terrorism and Public Health, War and Public Health, and Social Injustice and Public Health, all of which were published by Oxford University Press, and co-authored with him many journal articles and book chapters. Dr. Sidel was Distinguished University Professor of Social Medicine Emeritus at Montefiore Medical Center and Albert Einstein Medical College, and an Adjunct Professor of Public Health in the Division of Medical Ethics at Weill Cornell Medical College.